Did I say two weeks? Math has never been my strongsuit. Welcome to week three of winner interviews featuring Maja Sereda whose book A KITE'S FLIGHT won the Crystal Kite award for the Africa region. To learn more about today's winning author/illustrator, check out her website, visit her blog or see her work on her agent's website. Please tell my readers a little about your winning book. 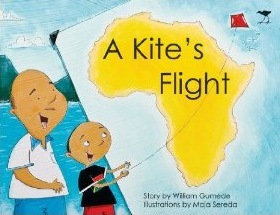 A KITE'S FLIGHT tells a story about how Andile and his father make a kite. 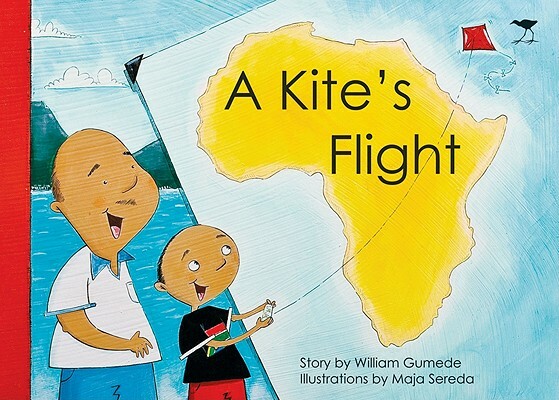 While flying the kite, its string breaks releasing the kite on an epic journey across Africa. The kite's flight takes the reader over some of the great landmarks of Africa: from the thundering Victoria Falls and the snow tops of Kilimanjaro, to the Sahara Desert and ancient Egyptian Pyramids. The book illustrations were done with acrylic and gouache on board with some newspaper collage. How does it feel to receive an award voted on by your peers? What does this award mean to you? It's fantastic--I'm thrilled to receive the award! I'm always inspired and motivated by my peers and it's wonderful to receive their recognition of my work. The award helps me push myself a little harder, strive to achieve more and create better work. I really love what I do! How long have you been a member of SCBWI? How has your SCBWI membership been helpful to your career? I've been a member of the South African SCBWI since 2007 and I joined SCBWI.org at the beginning of 2010. I've taken part in an exhibition (South African SCBWI) in November 2009. It's wonderful to stay connected to artists and writers abroad and to keep up-to-date with current news and trends. It helps me keep my work and ideas fresh. Through the South African SCBWI I was able to meet the publisher of my book A KITE'S FLIGHT (Jacana Media) for which I've now received the award! What will we see from you next? I'm currently working on a number of projects and one of them is my new book about a boy and his love for the sea. It's still early in the creative process but I'm hoping it will be published in 2012. 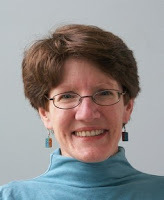 We wrap up week two of winner interviews with Kathryn Erskine, whose book MOCKINGBIRD won the 2011 Crystal Kite Award for the Pennsylvania/Delaware/New Jersey/Wash DC/Virginia/West Virginia/Maryland region. (Her book also won National Book Award for Young People's Literature.) 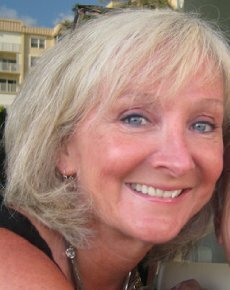 To learn more about today's award-winning author, visit her website, check out her blog, follow her on Twitter, or find her on Facebook. In MOCKINGBIRD, Caitlin seeks closure after the death of her brother, Devon, a process made more difficult by the fact that she has Asperger's, and Devon was key in helping her understand and navigate the world. I know, it sounds incredibly heavy and depressing, doesn't it? And yes, there are sad parts, but it's actually an uplifting book with a fair amount of humor. I write about heavy subjects but my goal is to write "hopeful." I don't care for depressing books, myself, so I work hard to ensure that, despite the tough topics, it's still an enjoyable read. Since I think we as writers can be our own harshest critics, I feel particularly honored for my work to be recognized by my peers. Wow, I think I've been a member of SCBWI since 1997, when I took my first class in writing for children. I've attended so many wonderful SCBWI events I've lost count! I've volunteered at our mid-Atlantic conference and spoke at the event last fall. It's a wonderful, supportive organization. 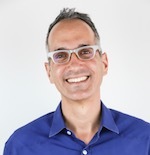 The workshops and retreats I've attended have taught me much about craft, the online information and publications have taught me about the business side of writing, the conferences have given me access to editors, agents, and other professionals in the field, and the members have become my advisers and good friends. THE ABSOLUTE VALUE OF MIKE (Philomel) comes out June 9, 2011. "When his genius father sends him to live with relatives and help with an engineering project, Mike, who has a math learning disability, discovers there's more to life than meeting his father's expectations." 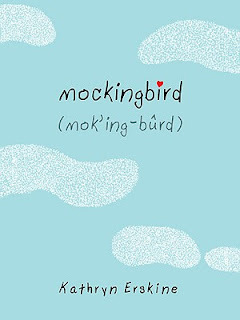 With wacky characters, MIKE is lighter and funnier than MOCKINGBIRD, but still addresses the need to accept people's differences--especially your own. For today's winner interview, I take a trip Down Under to talk with Claire Saxby, whose book THERE WAS AN OLD SAILOR won the 2011 Crystal Kite Award for the Australia region. (Note that Claire's book is going to reprint with back copy calling out her SCBWI Crytal Kite win!) To learn more about today's award-winning author, visit her website. THERE WAS AN OLD SAILOR is a nautical story about a very hungry sailor. 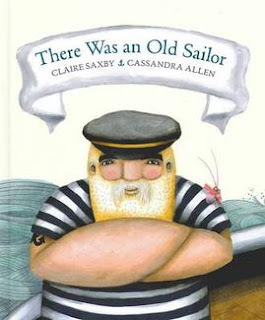 It's based on the old folk rhyme, "There Was an Old Lady" and like the old lady, Sailor eats some surprising things. It's a rhyming, cumulative story for 3- to 6- year-olds. It's wonderful to receive an award voted by my peers. It's lovely to think that they enjoy my stories and are so supportive. The Crystal Kite Award is very special and is already generating new interest in THERE WAS AN OLD SAILOR and in my work. The award elevates my profile and has wonderful potential to bring new readers to my work. I have been a member of SCBWI for about ten years. I am a volunteer helper in my local Victoria, Australia chapter and attend all the events held here. I've also attended the two most recent National conferences. I'm getting closer to making the jump to attending a US conference. They sound wonderful and the programs always look so inspiring. My SCBWI membership has been wonderful for providing and extending networking opportunities. I have established and extended many friendships through SCBWI. At our quarterly meetings and other workshops, I've learned about the ways other people write and/or illustrate and about the business of writing. Our meetings are also a great way to share opportunities and to learn what others have been doing. 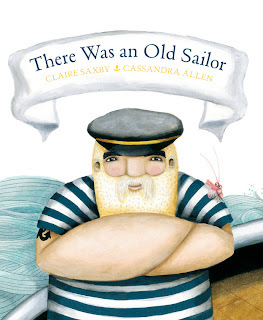 My picture book THE CARRUM SAILING CLUB, illustrated by Christina Booth and published by Windy Hollow Books, is to be released in September this year. 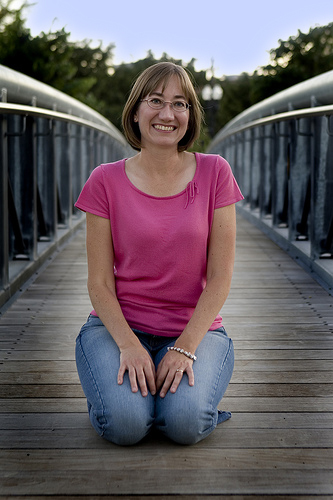 For today's winner interview, I travel North to Canada to talk with Marsha Skrypuch, whose book STOLEN CHILD won the 2011 Crystal Kite Award for The Americas (Canada/Mexico/Central & South America). 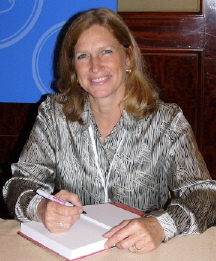 To learn more about today's award-winning author, visit her website. You can also find her on Twitter, Facebook and Goodreads. STOLEN CHILD was inspired by my own late mother-in-law's childhood in Ukraine during World War II. She lost half of her classmates to the Lebensborn program--children kidnapped by the Nazis for their "Ayran looks" and brainwashed into thinking that their real parents were criminals. I wrote this novel as a mystery--the past part is revealed like peeling off layers of an onion as Nadia's past is revealed in disturbing flakes and flashes. Peer recognition is such an affirmation of what we do. We often hear that the children's writing industry is a bunny-eat-bunny world but that has never been my experience. I find children's writers and illustrators to be the most supportive and professional group of people I've ever met. There is not a sense of competition. We all realize that our goal is to nurture a passion for reading in youth. When that happens, we win. Bigger than that, when we create passionate readers, the universe wins. I've been a member since 2009. I was a member in the 1990s as well, but let my membership lapse when I got an agent and book contracts. SCBWI has superb industry resources in terms of up-to-date info on publishers and agents. I attended the NY conference in 2010 and was blown away by how much I learned--and I've had more than a dozen books out, so it's not as if I'm a newbie. I have registered for the LA conference this summer and am looking forward to it. 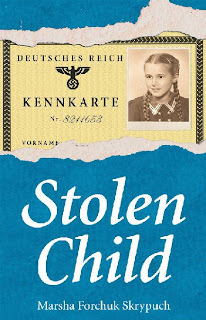 The companion novel to STOLEN CHILD is coming out in the spring of 2012. It is called MAKING BOMBS FOR HITLER. I also have a book coming out in September 2011, but that one is under wraps for the moment. Arizona/Utah/Colorado/Wyoming/New Mexico region. To learn more about today's award-winning author, visit her website, check out her blog, or follow her on Twitter (although she admits to being "a reluctant tweeter"). SWOON AT YOUR OWN RISK is about a girl with five ex-boyfriends who’s afraid to fall in love again, so she decides to focus on herself for once. But of course there’s this certain guy… It’s also a book about family relationships as Polly struggles with her distant dad while dealing with the fact that her grandmother, a famous advice columnist, has just moved in for the summer. Funny paperback romance novels don’t usually win awards, so I’m thrilled, a little surprised, and quite humbled to win the Crystal Kite. News of the award also arrived on one of those days filled with writerly self-doubt, so it boosted my spirits immensely. Thanks to my fellow SCBWI members, I’ve got that extra bit of encouragement I’ll need to keep pushing to make my WIP better and better--oh, and my husband keeps mentioning the award every time I fret about the state of my WIP. He thanks SCBWI too! I joined SCBWI upon completing my first novel manuscript in 2002. Since then I’ve attended dozens of regional and national conferences--and I’ve met so many amazing writers and illustrators. I also volunteered in my own region, eventually becoming the Regional Advisor for Utah and So. Idaho. Now I coordinate events, as well as speak in other regions. SCBWI is my writing family. 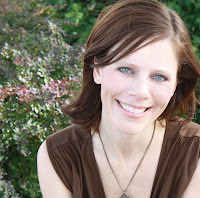 All aspects of my writing career have been nurtured, from refining my craft and making professional connections, to pushing me out of my comfort zone as a shy-ish writer. I’m inspired by the generosity of my fellow Regional Advisors as well as the PAL members, who share their expertise, and the pre-published writers working so hard to achieve their dreams. Just to be a small part of that is an incredible honor! What will be see from you next? My middle grade story, JUNGLE CROSSING, just came out in paperback. North/Carolina/Alabama/Mississippi region. To learn more about today's award-winning author, visit her website (where teachers, librarians and homeschoolers can find ROSA'S BUS curriculum tie-ins, including questions, games and activities). ROSA'S BUS: THE RIDE TO CIVIL RIGHTS provides a great read-aloud introduction to Civil Rights for young readers, while an author's note at the back, contextualizes the boycott and adds more information for others. Bus #2857, on which Rosa Parks was arrested (prompting the Montgomery Bus Boycott during the Civil Rights Movement) has become a National Treasure, much like the Liberty Bell. 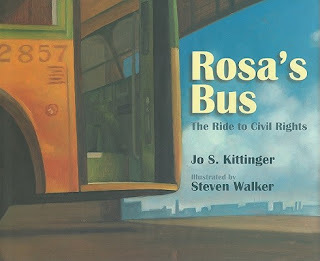 ROSA'S BUS employs free-verse stanzas to portray public transportation under Jim Crow laws in Montgomery, Alabama and the fight for better treatment of black passengers. Additionally, readers learn the history of the bus itself, following Bus #2857 from the General Motors factory in Michigan, through days of segregation and integration in Montgomery, years of ruin in a field and finally to the Henry Ford Museum. I was thrilled with Steven Walker's rich oil paintings, which evoke the emotions of determined people and perfectly complement the text. I feel incredibly honored and humbled to have received this peer-voted award. 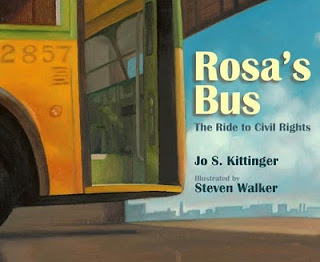 Many fantastic books were published this past year and to have ROSA'S BUS selected for the Crystal Kite is very heart-warming. I am deeply grateful for this opportunity to showcase my book. Thank you to everyone who voted. I was one of the founding members of the Southern Breeze region (AL, GA, MS) of SCBWI which was established 20 years ago. Since the beginning of our region I have been an active member, volunteering at our first conferences, moving up the volunteer ladder, and now serving (since 2002) as a Co-Regional Advisor. Without my critique group and SCBWI I would never have been published. The instruction, networking and inspiration received through SCBWI not only led me to the point of my first book (published in 1996) but have continued to help me hone my craft, learn marketing tips, and introduce me to people who have been able to open doors. Most of my titles can be directly linked to SCBWI connections. Thanks for asking! THE HOUSE ON DIRTY-THIRD STREET will be released with Peachtree Publishers next year. The amazing Thomas Gonzales (14 COWS FOR AMERICA) is my illustrator and I can't wait to see the finished picture book. I only wish it was already available for all the children who have suffered through the recent tornadoes in the Southeast and floods along the Mississippi River. This fictional picture book addresses the discouragement and hope when a family has to start over. 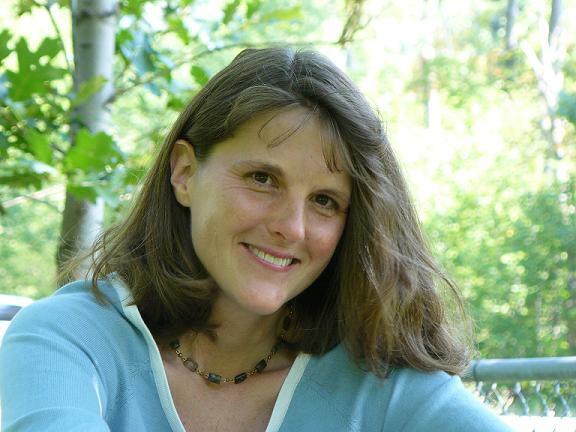 Today's winner interview is with Kate Messner, whose book SUGAR AND ICE won the 2011 Crystal Kite Award for the New York region. 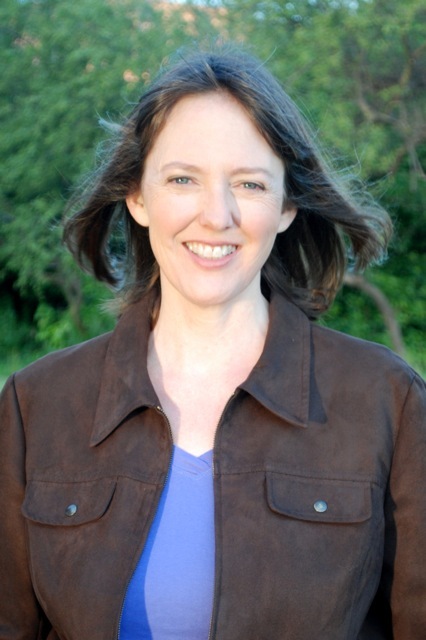 To learn more about today's award-winning author, visit her website or follow her on Twitter. I spent two days listening to a parade of experts talk about everything from thousand dollar blades to sewing sequins. One of the speakers was a sports psychologist who talked about how she works with skaters to make sure the competitive nature of the sport doesn’t become unhealthy, and she got me thinking. What a great world this would be for a novel! I started taking notes and brainstorming for SUGAR AND ICE that day, and the book came out two and a half years later. 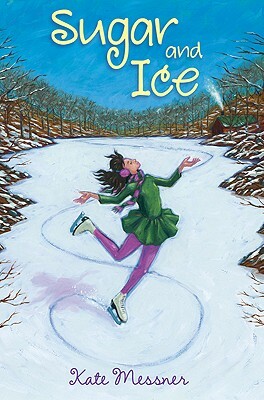 It’s about a figure skater from a small-town maple farm who earns a scholarship to train with the elite in Lake Placid, but when she starts training, she realizes that her sweet dream-come-true has some more sharp edges than she could have imagined. This award just means the world to me. I know how hard SCBWI members work on craft, and when you’re serious about writing, you pay attention to craft in every book you read. The fact that my colleagues chose SUGAR AND ICE as a book that they’d hold up for this honor is absolutely overwhelming. I’m humbled, delighted, and grateful. How long have you been a member of SCBWI and to what degree are you involved? How has your SCBWI membership been helpful to your career? I’ve been a member of SCBWI almost 10 years and have enjoyed a number of regional conferences, first as an attendee and later as a member of the faculty. I think SCBWI--or really any vehicle for bringing writers together to share ideas on craft and support one another--is incredibly valuable. Some of the people I met at my very first SCBWI conference have become close friends. What will we see from your next? This is a busy spring for me--May 1st brought the release of MARTY MCGUIRE, the first in my new chapter book series with Scholastic. My first picture book, SEA MONSTER’S FIRST DAY, is coming out with Chronicle. And I’ve also written a book for teachers and writers called REAL REVISION: AUTHORS’ STRATEGIES TO SHARE WITH STUDENT WRITERS. It pulls back the curtain on the revision processes of more than 40 published authors and provides dozens of manageable revision strategies for writers of all ages to use with pieces of their own. Today, Crystal Kite Winner Interview Week takes its first trip abroad to talk to Monika Schröder author of SARASWATI'S WAY. Monika won the Crytal Kite Award for the Middle East/India/Asia region. 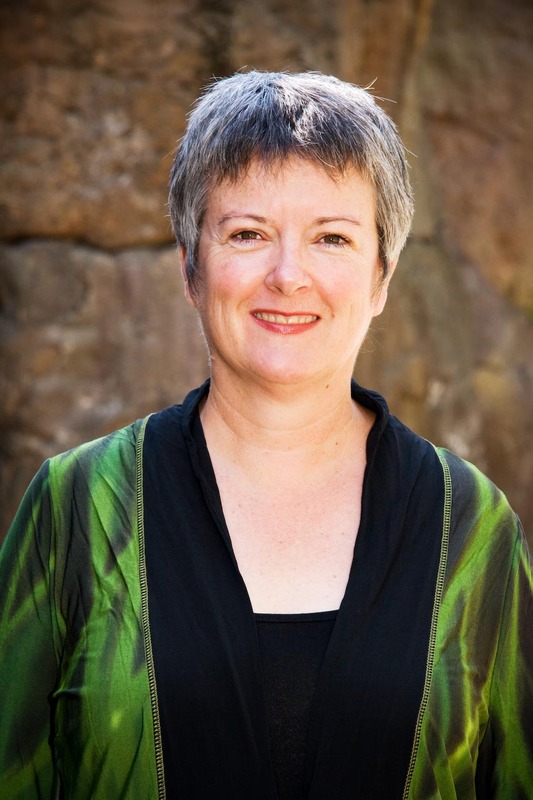 To learn more about her and her work, visit her website. SARASWATI’S WAY is set in India, where I have lived for the last eight years. Twelve-year-old Akash, the main character, has a talent for math and wants to go to a better school. But his family in rural Rajasthan doesn’t support his dream and he runs away. 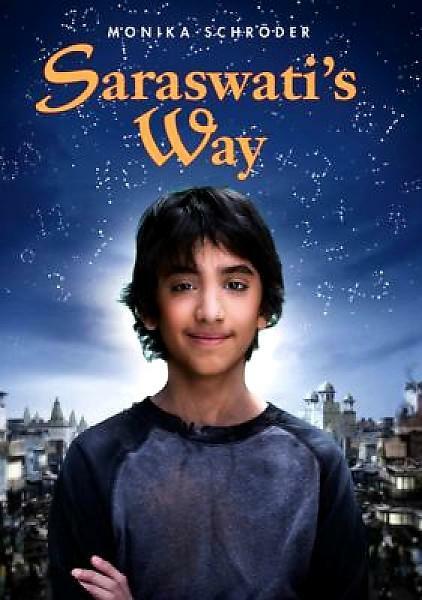 After a train ride he ends up in the New Delhi railway station where he joins a group of street kids scavenging for food and selling empty bottles for a living. He is tempted to try a short cut to make quick money but learns that with patience the gods are on his side. Receiving an award is always wonderful and because for the Crystal Kite other writers have decided my book is worthy of this recognition that makes it even more meaningful. I very much appreciate their votes and this acknowledgement. I have been a member since 2008. I read the newsletter and looked at the website, but since I lived in India I could never attend a conference. I am about to move to the U.S. so I hope this will change. I plan to be active in my region. I very much appreciate the tips and insights given in the newsletter. 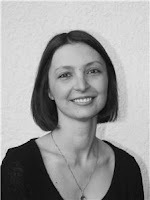 I also have found some fellow writers through the blog and could connect with other authors in my region. My next novel is coming out in September. It is called MY BROTHER’S SHADOW and set in Berlin 1918. It tells the story of 16-year old Moritz who witnesses the socialist revolution in Germany at the end of WWI and whose brother returns from the trenches bitter and maimed. Indiana/Ohio region. (Yay Midwest!) To learn more about today's award-winning author, visit her website, check out her blog or follow her on Twitter. I’ve always had a major fan crush on Janis Joplin. She was my role model for independence and creative spirit, and her death was my cautionary tale. 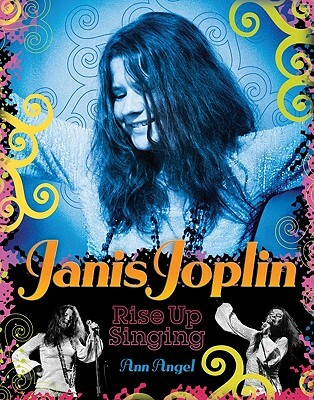 JANIS JOPLIN: RISE UP SINGING is the biography that came out of her significance both personally and culturally. Writing Janis's story and then gathering images and photos was the most amazing trip back to my teens and, although revisiting Janis's death was incredibly tough, I loved this project. To be recognized by my peers for taking on the difficult topic of Janis’s life is truly an honor. They’re telling me that I made the right choice to talk about Janis, flaws and all, and that there’s a necessary place for stories like Janis’s in the teen world. Her story is important and Janis can become another generation’s role model and cautionary tale. RA, I continued to offer breakout sessions on craft and also volunteer to critique manuscripts. I’ve also conducted online novel revision workshops for my region. I learned a long time ago that working with other writers will grow my own writing ability. 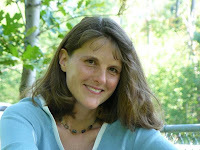 SCBWI kept me writing and also was the catalyst to get me to consider an MFA, which I received from Vermont College. Becoming an RA was a way to give back to SCBWI but I’ve learned the more I give, the more I get. I always work on young adult fiction and nonfiction projects simultaneously. So I’m not sure which big project will come out next. I have a short story called "The Bracelet" in an upcoming anthology from Persea Books called SUDDEN FLASH YOUTH. It will include flash fiction by Alice Walker, Julia Alverez, David Eggers, Meg Kearney and Pamela Painter. Today's winner interview is with Tammi Sauer, whose book MOSTLY MONSTERLY won the 2011 Crystal Kite Award for the Texas/Oklahome region. To learn more about today's award-winning author, visit her website or check out her blog. MOSTLY MONSTERLY, illustrated by the oh-so-awesome Scott Magoon, stars a monster named Bernadette who, underneath her fangs and fur, has a deep…dark…secret. She has a sweet side. Horrors! It feels amazing to have received an award voted on by my peers. The Oklahoma/Texas region is stellar, and it consistently puts out incredible books year after year. Knowing that many of the members voted for MOSTLY MONSTERLY is both a thrill and an honor. 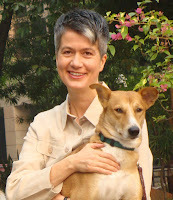 I have been a member of SCBWI since 2003. Each year I attend both SCBWI-Oklahoma Conferences as well as the Annual Summer Conference in Los Angeles. I am a regular speaker at the Oklahoma SCBWI Fall Conference and have presented at Wisconsin, Florida, and Kansas SCBWI Conferences as well. 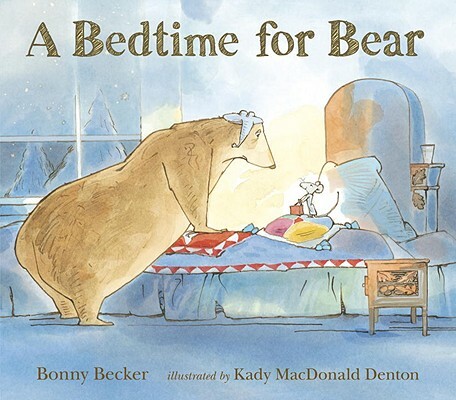 In addition, I will be speaking at an upcoming Texas SCBWI Conference this fall. Yeehaw! I attribute many of my successes to SCBWI. 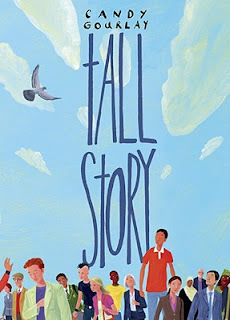 I learned about Sterling Publishing, the house that gave me my first picture book acceptance, through the publication Connie Epstein puts together each year. In 2004, one of my manuscripts was nominated for the Sue Alexander Most Promising New Work Award. In 2006, I met my Simon & Schuster editor during an SCBWI manuscript consultation. In addition, my manuscript consultation at the 2007 Annual Summer Conference resulted in a sale. PRINCESS-IN-TRAINING (Houghton Mifflin Harcourt), illustrated by Joe Berger, is set to debut in 2012. 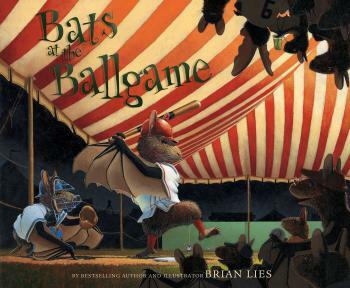 My third picture book with Simon & Schuster is scheduled for a spring 2012 release. ME WANT PET!, illustrated by Bob Shea, stars Cave Boy, a prehistoric kid in search of the perfect prehistoric pet. My editor recently shared the final art with me. OOGA. Me love it! Today we're kicking off two weeks of interviews with the 2011 Crystal Kite Member Choice Award winners! Our first winner to be featured is Deborah Underwood, whose title THE QUIET BOOK won the 2011 Crystal Kite Award for the California/Hawaii region. 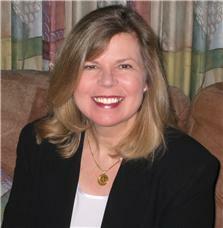 To learn more about today's award-winning author, visit her website or follow her on twitter. THE QUIET BOOK is an exploration of the various quiets that fill a child's day--everything from "first one awake quiet" to "thinking of a good reason you were drawing on the wall" quiet. My intention was to take kids on a journey in which they experience a wide variety of emotions. This was a bit of a challenge since the word count is so low, but Renata Liwska's fabulous illustrations tell a lot of the story and complement the text perfectly. 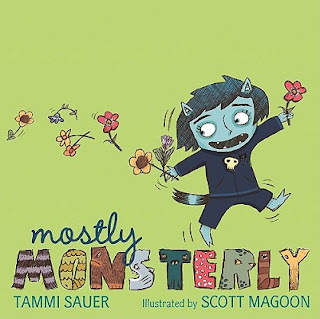 As far as I'm concerned, the sweetest recognition comes from peers (who know how much work is involved in creating kids' books) and children (who are, after all, the intended audience). I learned that I'd received the Crystal Kite around the same time I found out A BALLOON FOR ISABEL made the Children's Choices List. It's hard to imagine a more gratifying week than that! Despite the fact that I'm a writer, I have no words that adequately express how honored I am by the Crystal Kite and how much it means to me. During my 10 years writing for kids, I've gone through some dark times when it seemed like I wasn't making any headway and would never be able to pull off a career as a writer. This award feels like a vote of confidence from my community, and I'm so grateful. How long have you been a member of SCBWI? To what degree are you involved? And how has your SCBWI membership been helpful to your career? I joined SCBWI soon after I decided to write for kids, and whenever anyone asks me about writing for kids, I encourage them to join, too. I've attended numerous conferences, and have had the privilege of speaking at the SCBWI Golden Gate Conference at Asilomar and at a Beyond the Bay event. I found my first critique groups through SCBWI events, and SCBWI conferences have taught me so much. One of the things that continues to impress me is how generous and supportive the children's writing community is. It's wonderful to have an organization that does such a good job of connecting people. 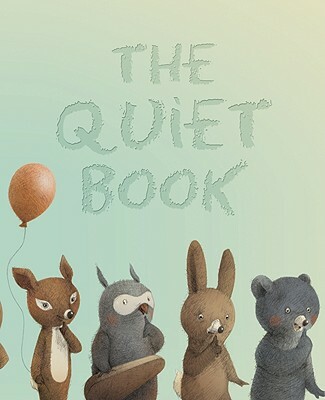 THE LOUD BOOK, a companion volume to THE QUIET BOOK, came out April 4th. Next year I have two picture books being published: PART-TIME PRINCESS, illustrated by Cambria Evans (Disney Hyperion) and THE CHRISTMAS QUIET BOOK, illustrated by Renata Liwska (Houghton Mifflin). 2011 Crystal Kite Award Winners Announced! 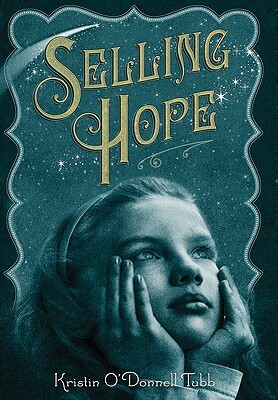 The votes are in and SCBWI is thrilled to announce the winners are for the 2011 Crystal Kite Awards! SCBWI's Crystal Kite Awards recognize great books from the 70 SCBWI regions around the world. Along with the SCBWI Golden Kite Awards, the Crystal Kite Awards are chosen by other children’s book writers and illustrators, making them the only peer-given awards in publishing for young readers.